Every month, I test the newest skincare products on the market. Here’s something for the ladies out there with sensitive and prone to allergies skin. SVR have designed a very soft and moisturizing makeup removing milk which is a part of the Sensifine series. It is always important to take care of our skin, especially when it’s cold outside and the lack of sun makes the skin even more sensitive. 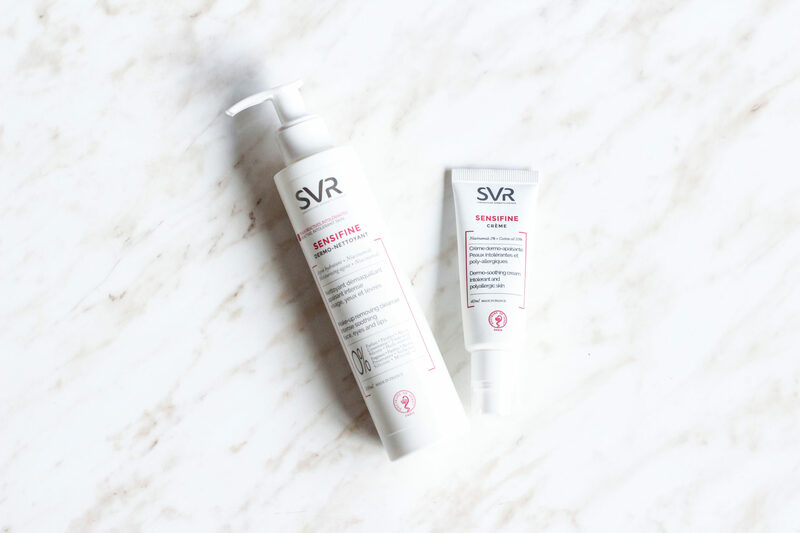 Here is a milk by SVR which is a great alternative for those of you who prefer a denser remover than the lotion or wash off foam. Starting from the bottle, the cleanser is pretty handy with a small pump on top for vacuum protection of the fluid. As for contents, all fragrances, preservatives, silicones and mineral oils are missing. There’s only pure cleansing product, which you apply on a cotton pad and remove all dirt and makeup. When using it, my face feels soft and soothed after a long day. I recommend it to anyone with allergies or intolerant skin. Here is the cream from the same SVR Sensifine line. Suitable for normal to dry skin, this product is facial moisturizer that protects the skin from external factors which may cause irritation and allergies. It contains 12 ingredients among which 10% cotton oil. Application is easy with a tiny pump for crème protection. The cream feels light on the skin and is again odorless, paraben and preservatives free. It keeps the skin bio balance to the maximum. I would recommend it to women who need this extra soothing and some time off from the aggressive daily environment and heavy makeup.